The greatest wealth is good health and Ayurveda completes it. Indulge yourself in a relaxing ayurvedic tour to calm and heal your inner soul while your holidays in Sri Lanka. Sri Lanka is a land of tradition and culture being home to numerous endemic rich medicinal herbs providing recipe for therapies and treatment. Classy Tours as reputed tour operators in Sri Lanka, open doors to the finest Ayurvedic spas and health centers practicing the traditional herbal therapies passed down generations. 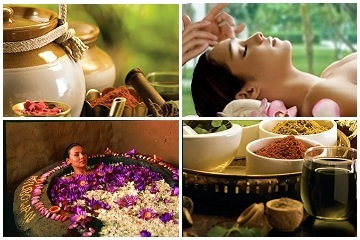 An ayurvedic tour would rejuvenate the mind and body relieving you from stress of daily chores. Travel to Sri Lanka has all the goodness, as this island nation is enriched with greenery and a paradise to the traveler. The atmosphere is healing in itself and inclusion of Ayurveda would instill a better you from within and outside. An Ayurvedic tour would be the best gift for your friends and family helping them achieves the bliss of longevity. Ayurvedic tailor made tour offers customer designed journey that are exclusive and personal to each holiday maker. Now you can simply design your tour together with one of our experts to fits with all your requirements.